The second of two Jotul stoves for this client in Shackleford, Surrey. They had been recommended to The Billington Partnership by a previous client. 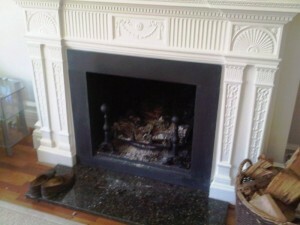 Our work involved clearing out the existing opening but leaving the wooden mantel in place. 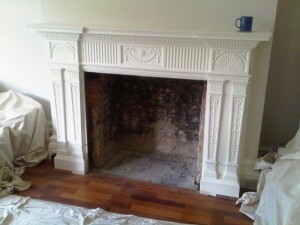 We then installed a fireboard chamber, as well as new slips and a bespoke hearth. 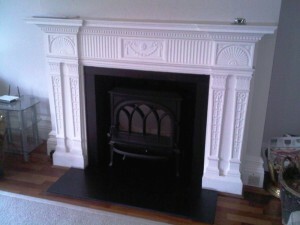 Finally we fitted the Jotul F400 stove. The Jotul F400 is one of the largest cast iron wood stoves on the Norwegian market, with room for logs of up to 50 cm. The stove is cast iron for superior heat retention and has a large ceramic glass window for the ultimate viewing experience. 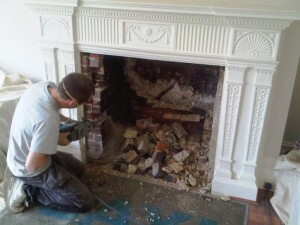 Both stoves will make a huge difference to the overall heating of this large house as they have a high output. 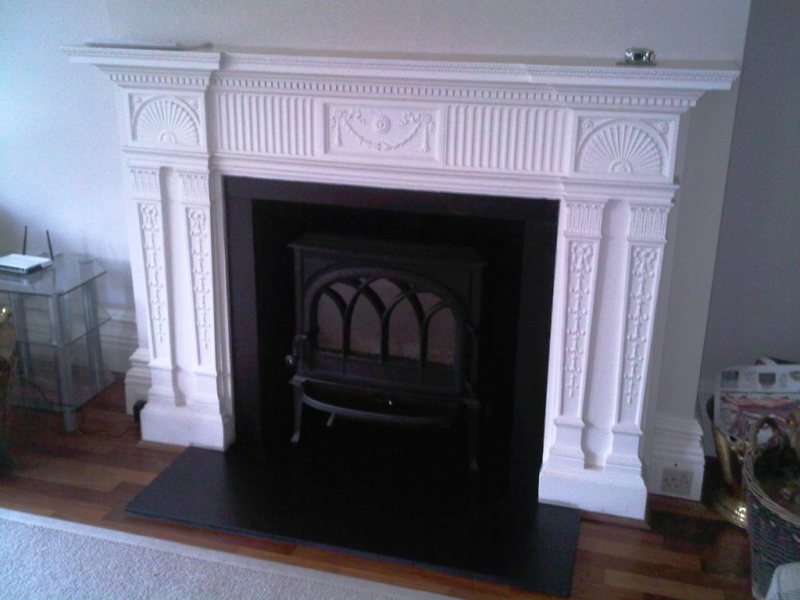 View another Jotul stove installation by The Billington Partnership.